Style Find! 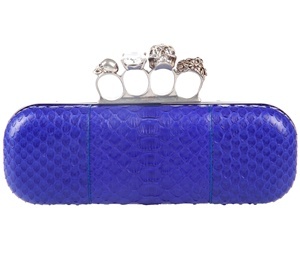 New arrival at Feathers: python skin leather clutch bag with a four-finger knuckle ring as the handle. Love it. 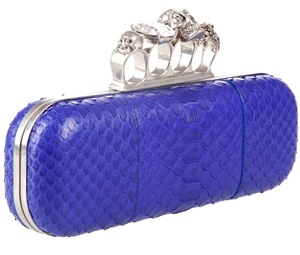 The Python Clutch Bag is not only rocker chic, but is available in one of spring’s hottest colors — blue.